The Manley Reference Cardioid Microphone shares the same electronic attributes as the Gold Reference Series, but has a center-fixed cardioid-only capsule with a thicker gauge (6 micron) gold sputtered diaphragm. 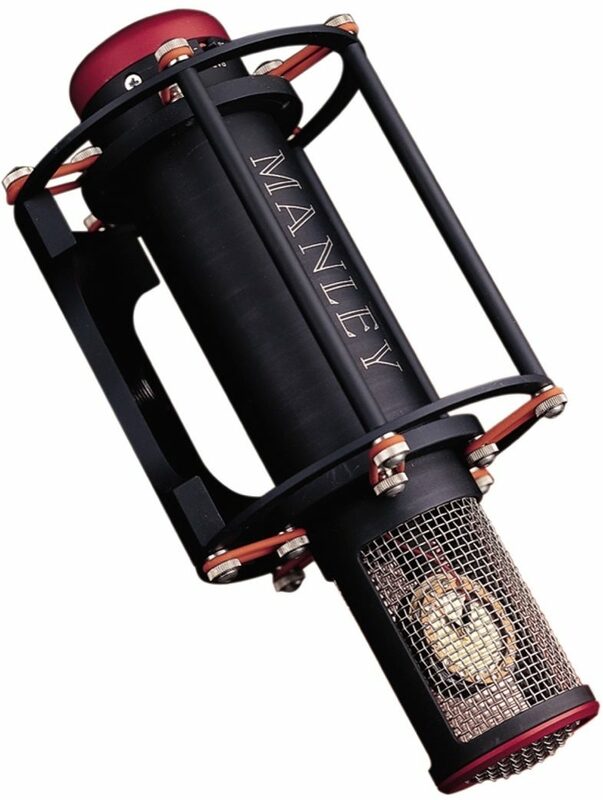 With the similar film thickness and construction, similar high frequency resonance (a little edge), similar proximity effect and pretty good immunity from pops and sibilance problems, the Manley Reference Cardioid more closely recalls how many of the vintage European tube mics such as the beloved U47 sounded like when they were new. Its rich tonal balance and liquid character is consistently admired for instruments such as guitars, drum overheads, saxophone, and especially vocals. With your present mic, if you find yourself leaning on your compressors and boosting 5 or 10K to score a bit more testosterone, then the Reference Cardioid just might be the mic you're looking for to cure what ails ya. zZounds is an authorized dealer of Manley Labs products. - Outboard Power Supply is factory set for 100V, 120V or 220-240VAC operation for original destination country's mains voltage. - Operating Mains Voltage changeable with power transformer re-wiring via internal jumpers and fuse value change. Overall: I've owned alot of microphones. All on the budget side of things. Finally decided that I'm tired of having to work so hard on my vocal mixes, all that is over. This is the last mic I'll ever buy for vocals!! !